Just wanted to send out a quick note about a great deal on Huggies wipes that ends tomorrow. This pack (and other varieties of the refill size) are on sale at Publix right now for $5.99. 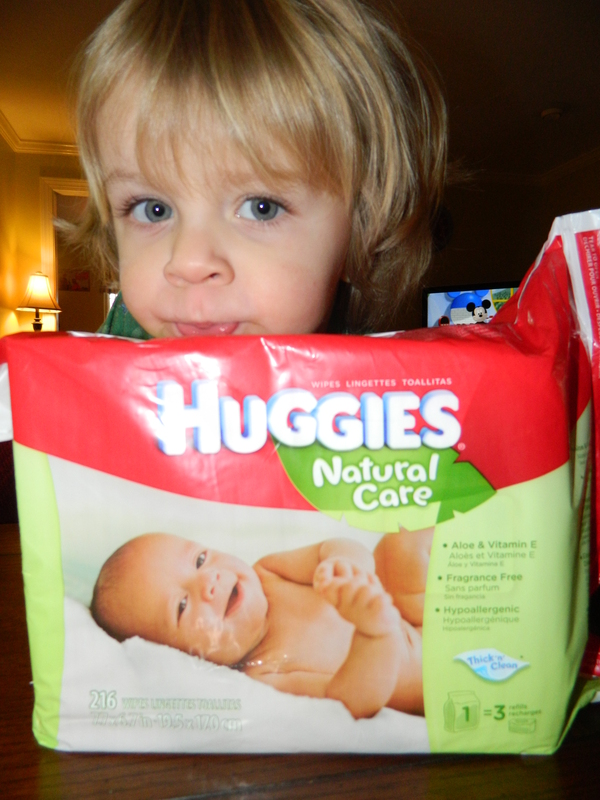 If you have the SmartSource from 1/15/12 there is a $.40 coupon for Huggies wipes. There is also a $1.50 store coupon that is printable here. The $.40 coupon will double at Publix (they double all coupons $.50 and less) and give you $.80. When you “stack” the store coupon of $1.50 with the $.40 manufacturer coupon, the large pack of wipes is now only $3.69! 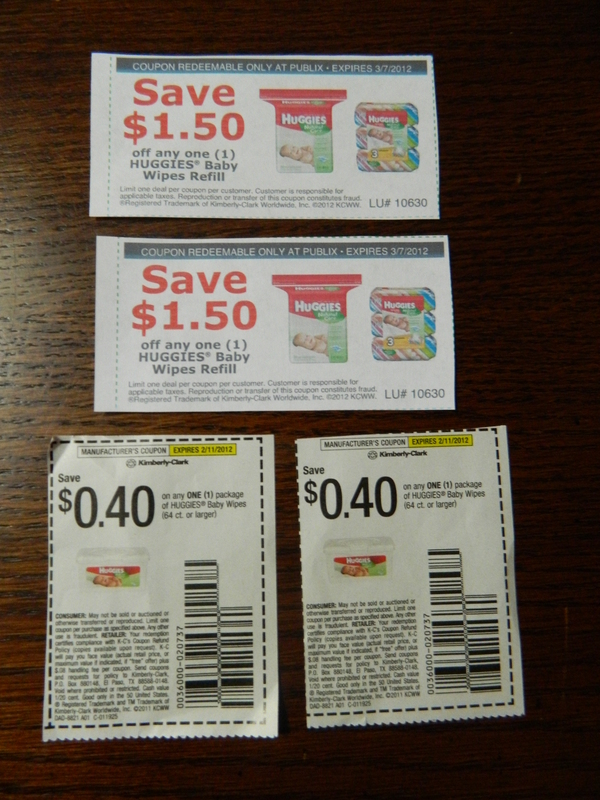 Hopefully you can get your hands on these coupons before the $.40 expires on the 11th (tomorrow) and get you some wipes! « Where there’s a will…there’s a yay!